AllModern + Le Creuset's "Cerise" Collection! 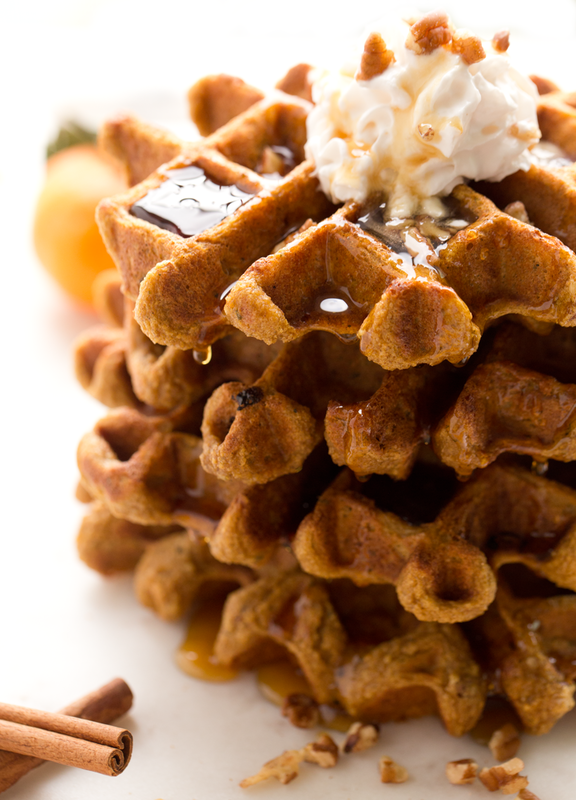 Plus the Best Holiday Waffles..
disclosure: This post is sponsored by AllModern. 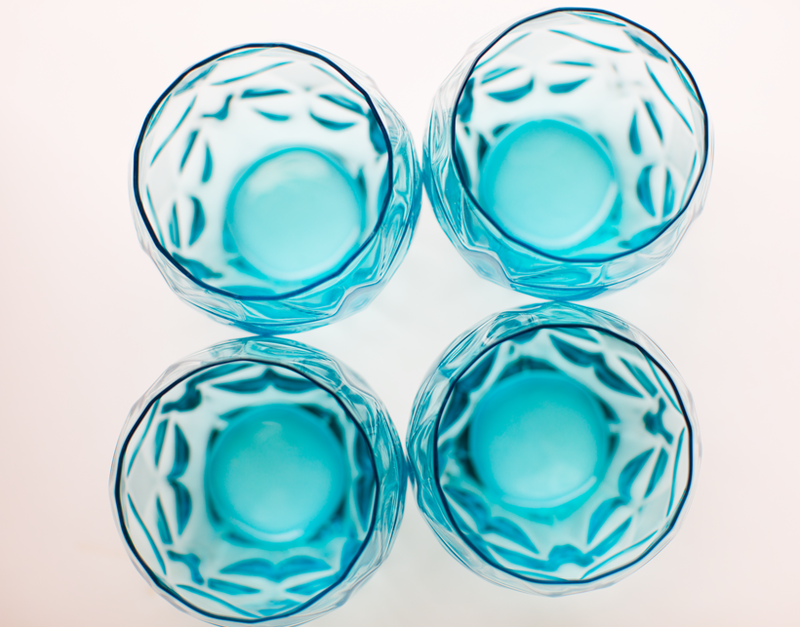 One of my favorite websites for kitchen and home items is AllModern. It is filled with sleek, inspiring, oh-my-gosh-I-want-that goodies. Everything feels curated and hand-selected, like your one-stop-shop for all things amazing and modern, yet totally timeless. From sleek flatware to inspiring dishes and glasses, to the very best kitchen gadgets, baking tools, modern lighting, furniture, art and so much more. Actually, after working on this article, I realized just how many categories of products AllModern carries! Everything from Himalayan salt lamps to modern pet toys and beds and even standing desks. Sooo many kitchen products. Oh my goodness I want them all. And one of my favorite brands that AllModern carries is Le Creuset. 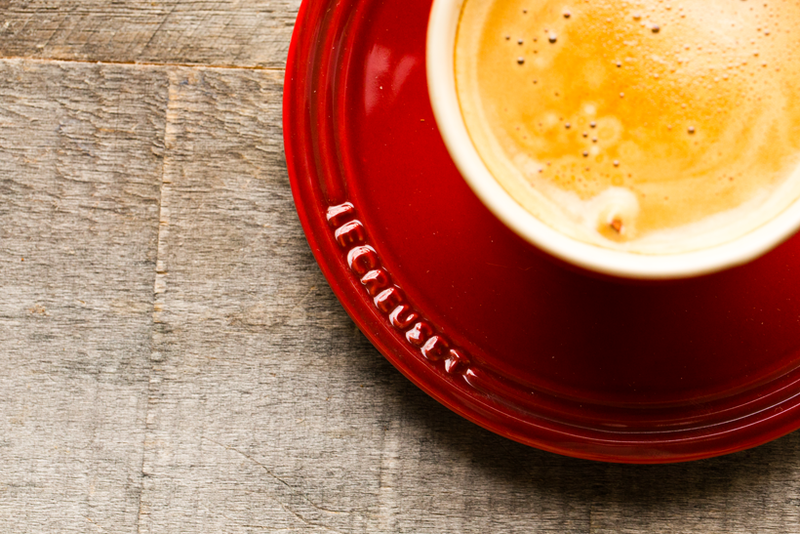 If you already own some Le Creuset products, I'm sure you share my fondness for the brand. 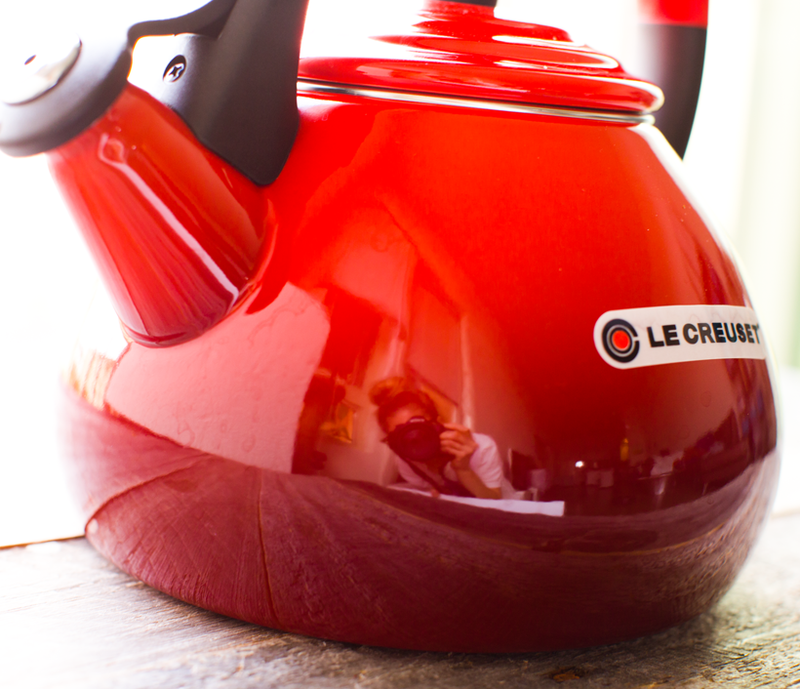 And today I am sharing some of Le Creuset's collection: Cerise! And today I am so excited to be featured in this "Food Blogger's Kitchen Sale" article over on AllModern. And today's post shares even more details about my brand collab. Here are 12 products I am LOVING from AllModern as well as my recipe for the best holiday waffles ever (gluten-free + vegan)..
Unintentional selfie in the shiny Cerise tea kettle.. I am waffle-obsessed right now. Bring me to your maple syrup. Cerise is here! Cerise is here! Well, back. Cerise is back! "What is Cerise?" You say. 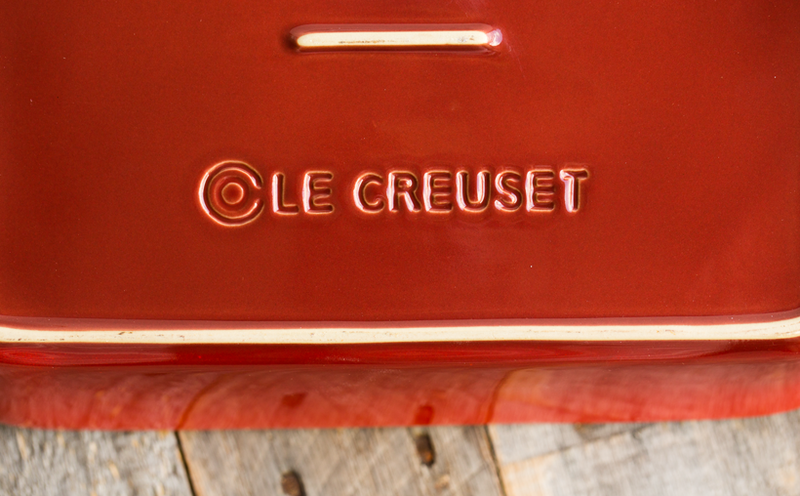 Here is what Le Creuset has to say..
"Le Creuset's bold red embodies the legendary passion, confidence and vitality of France. When our best-selling hue was introduced decades ago in France, the master enamelers who crafted our now-iconic shade of red called it Cerise (suh-rees). Years later, when the color arrived stateside, the color was translated to Cherry, which – although a literal translation – never quite captured the passion of its authentic French name. 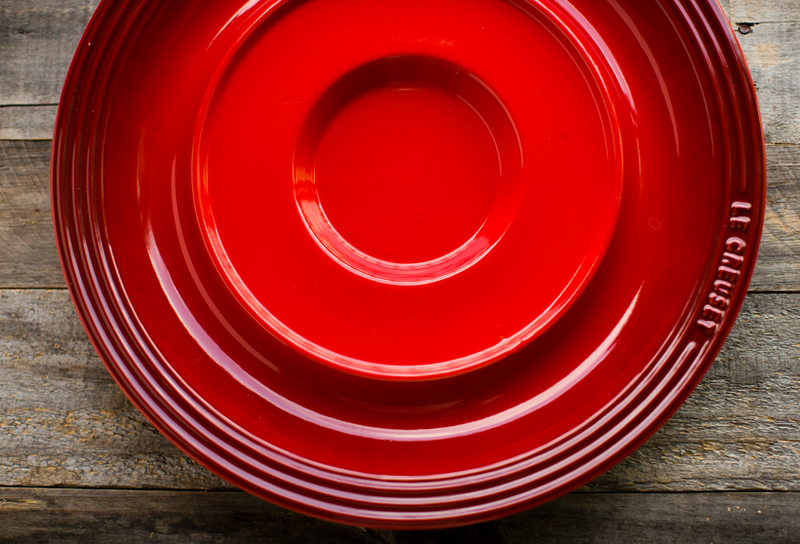 Our cookware will remain the vibrant, stunning red that you've always loved. We're just giving it a new (old) name." Neat! I love little brand history stories like that. And I love that they have gone back to their Cerise roots with this new (old) name. 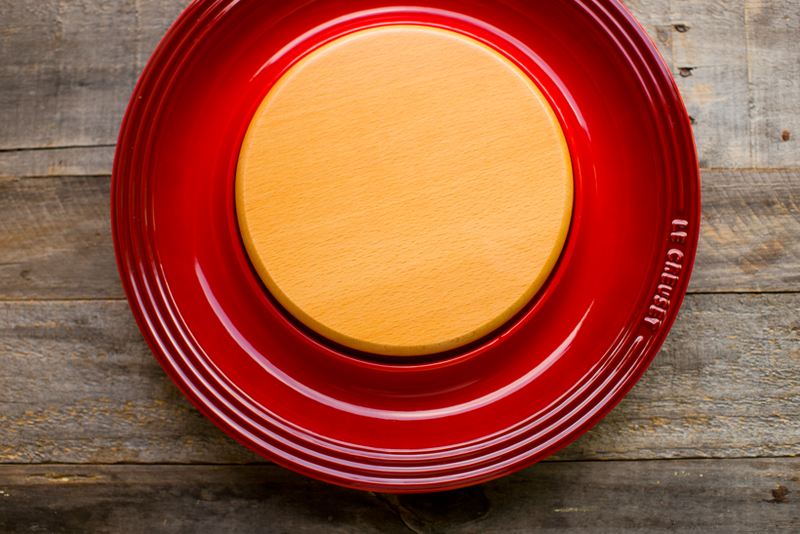 Cerise-colored Le Creuset items add a stunning pop of color to a kitchen or table setting. My Cerise-colored tea kettle looks stunning sitting happily on my stovetop. The Le Creuset Cerise collection is perfectly festive for the holiday season - the rich ombré color fading from a burnt red to deep cherry. For a Christmas brunch or holiday cookie tea party, Cerise would be perfection. This tea kettle is stunning! 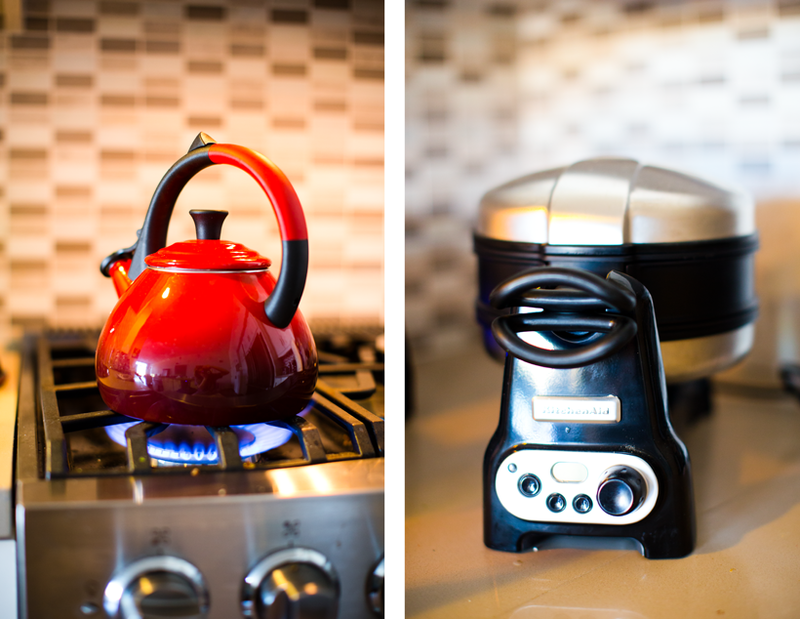 The color adds a pop of cheer to my stovetop. It is large enough to brew several cups of tea (great for a crowd) and the whistle is super cheerful. I love that the handle is cool-to-touch and anti-slip. I never need to grab a towel or pot holder to pour the kettle. 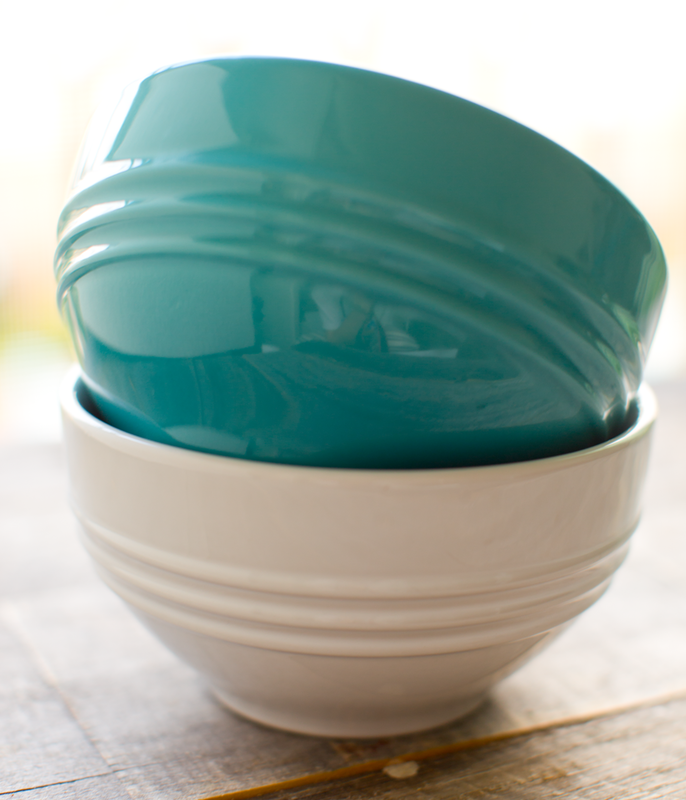 I love these bowls! I want one in every color. 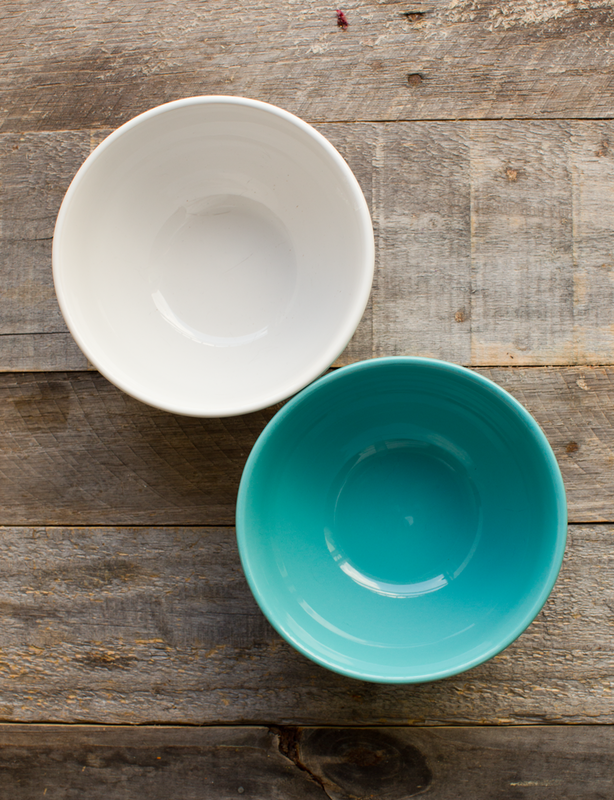 They are perfect for hot or cold cereal, smoothie bowls or big bowls of fruit or veggies. I love how they are thick and sturdy yet don't seem heavy. They retain heat and cold very well. 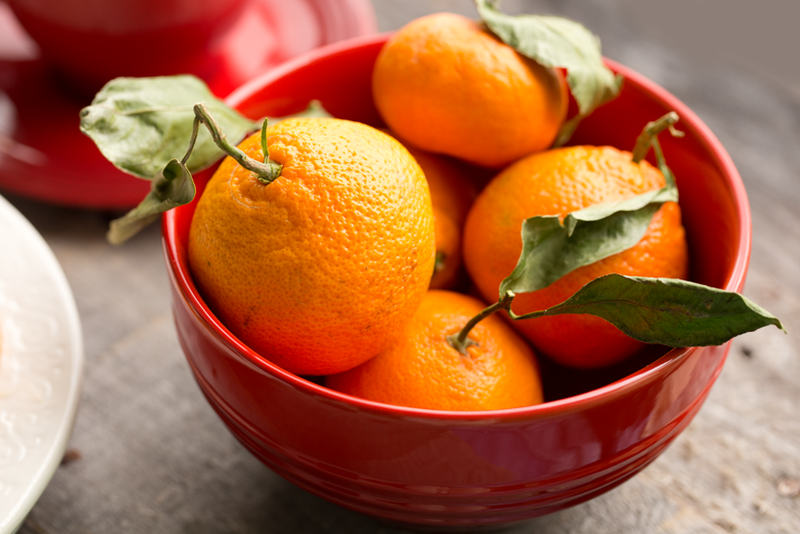 Stock your cabinets with a few of these and you will always have your go-to bowl on hand! UPDATE: Yup, these are officially my favorite all purpose bowls ever. I use them for everything! Totally need more of these beauties. Oh. My. Gosh. I have owned a handful of waffle makers in my life but they never lasted and they always seemed to be lacking in quality. They would die on me after a few weeks of use so I could never justify spending hundreds on a waffle maker. But with KitchenAid, everything is amazing so I decided to give this a try. I am in love. 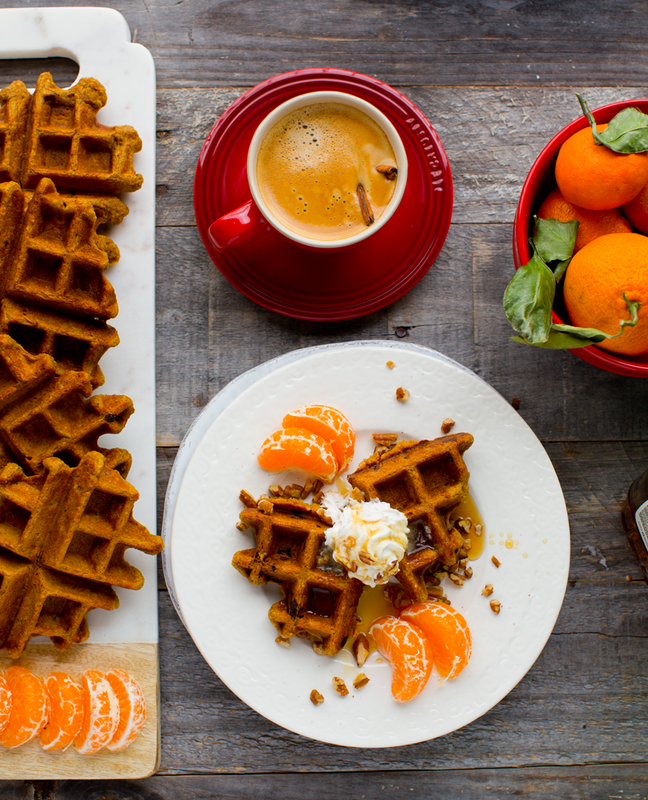 Not only has this Waffle Baker produced perfect waffles with each use, it is super easy to clean, warms up quickly and has a double burner so that you can make two giant waffles at once! 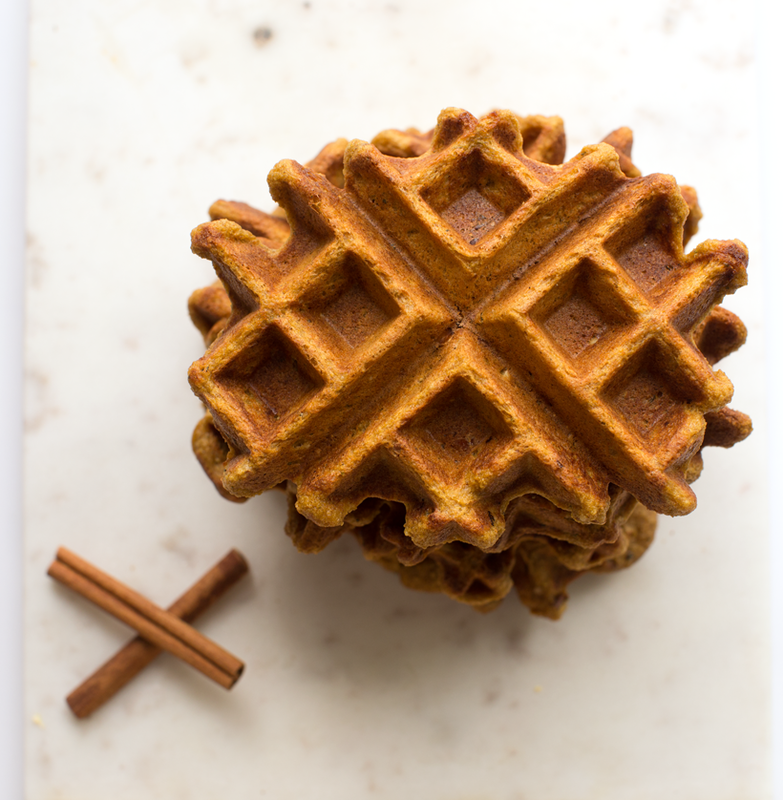 The recipe today was made using this waffle baker. ...vegan cheese going on here. 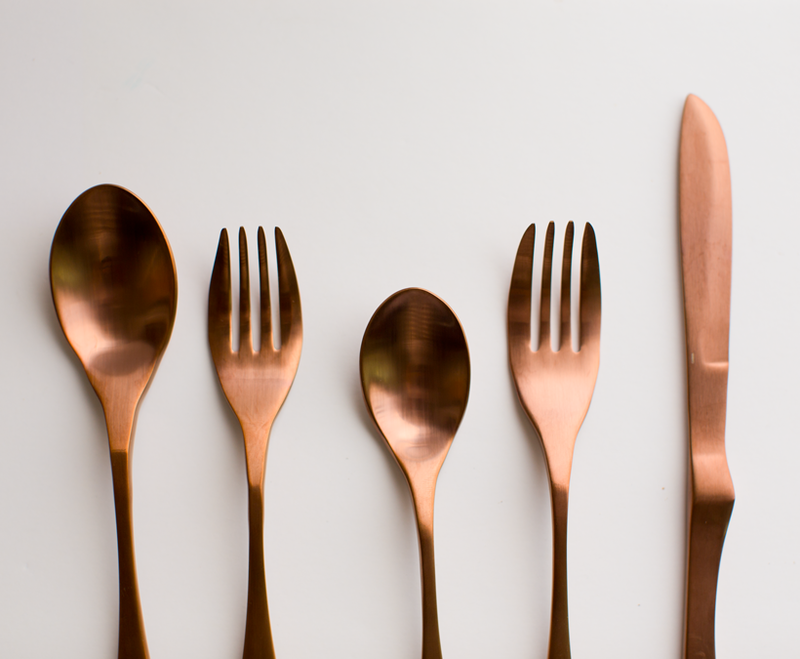 If you want a special set of flatware this is my choice! 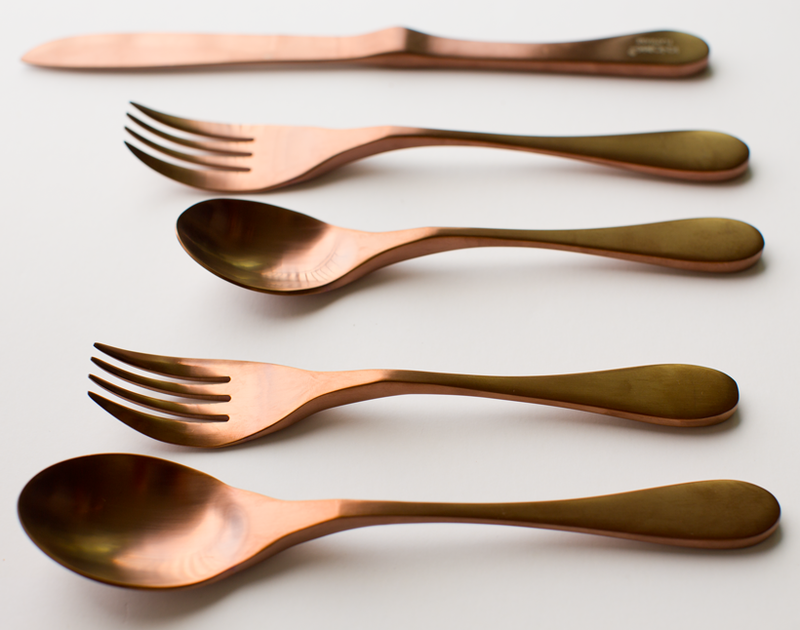 I am in love with the thick and sturdy handle as well as the beautiful dark copper colors that shimmer in the light. 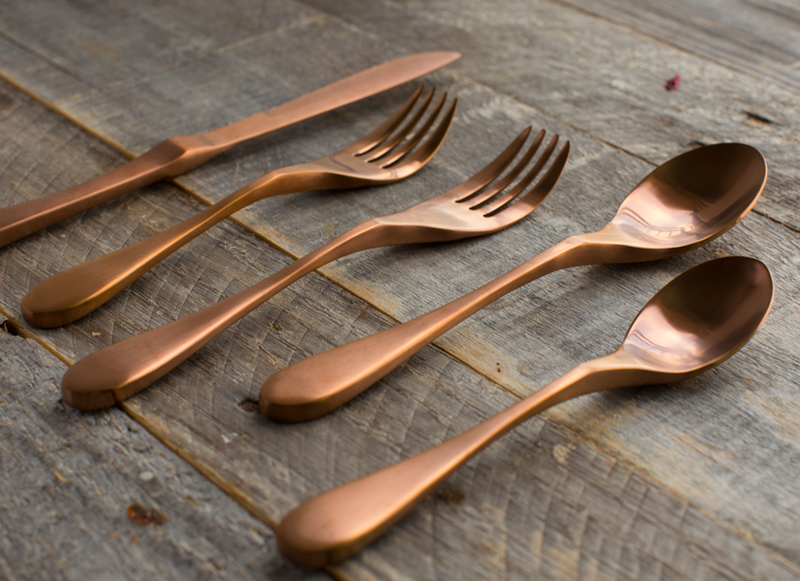 This flatware looks incredibly timeless and modern at the same time. So photogenic. 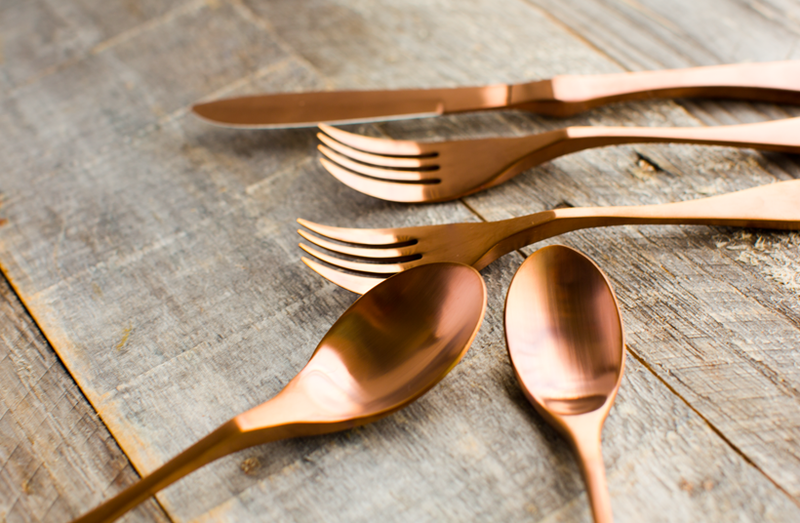 Love the warm copper color and sturdy weight to each piece. I love this versatile silicone tool. 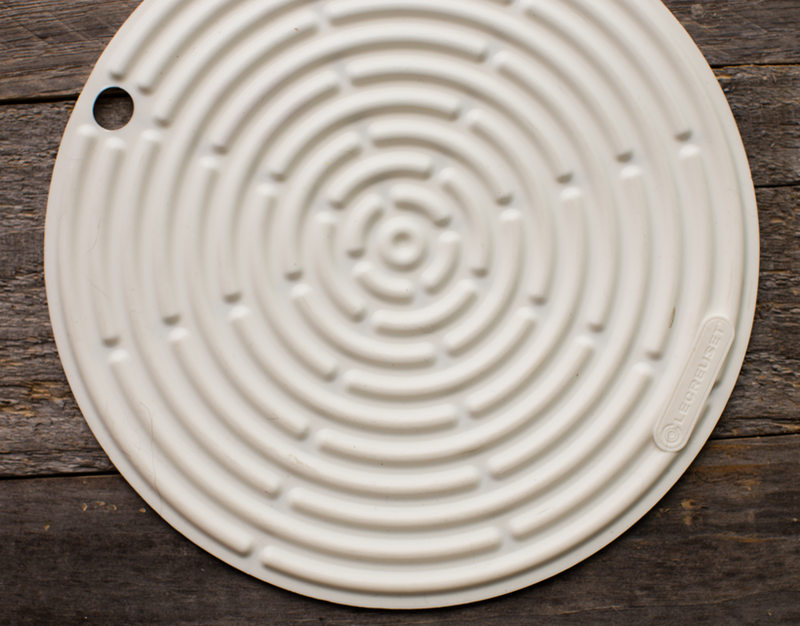 It can be used as a pot holder or for placing hot pans and plates. Easy to clean too! If you want a super minimalist and very high end, modern night stand - this is my pick! Zero assembly required and it is light enough to move easily around the room. Objects like books and small lamps look simply lovely on the clear table. It reminds me of something you would find in a fancy modern hotel or in Alice in Wonderland's bedroom. If you have a craving for modern design this is a really fun furniture item. I am a huge fan of ball-style lighting. Globes are so warming and cozy. So this is basically the most gorgeous globe lamp I have ever seen. Snag it in a table or floor style. Super high end and one of those accent pieces that will make you go dreamy-eyed every time you glance at it. Investment piece! 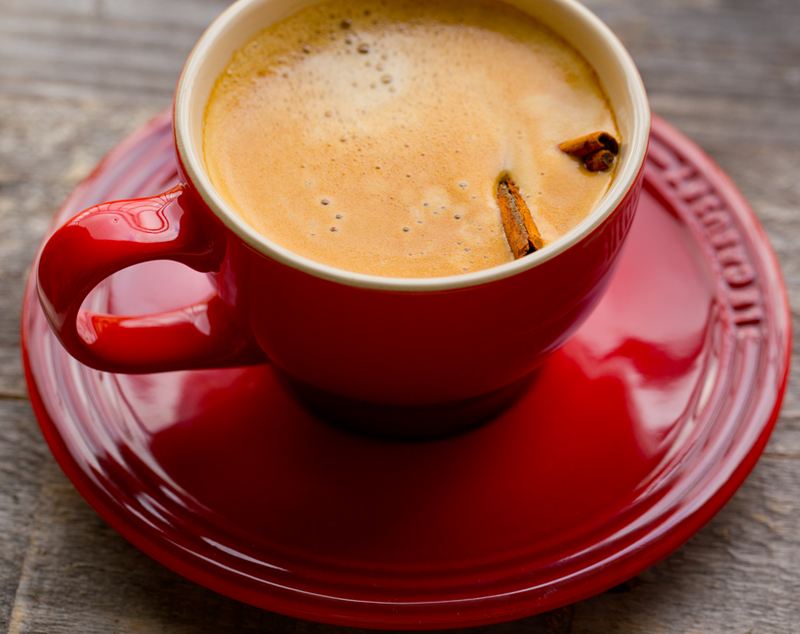 I love these sturdy little cups and saucers. I serve my husband Nespresso cappuccinos in one and a matcha cappuccino for me. 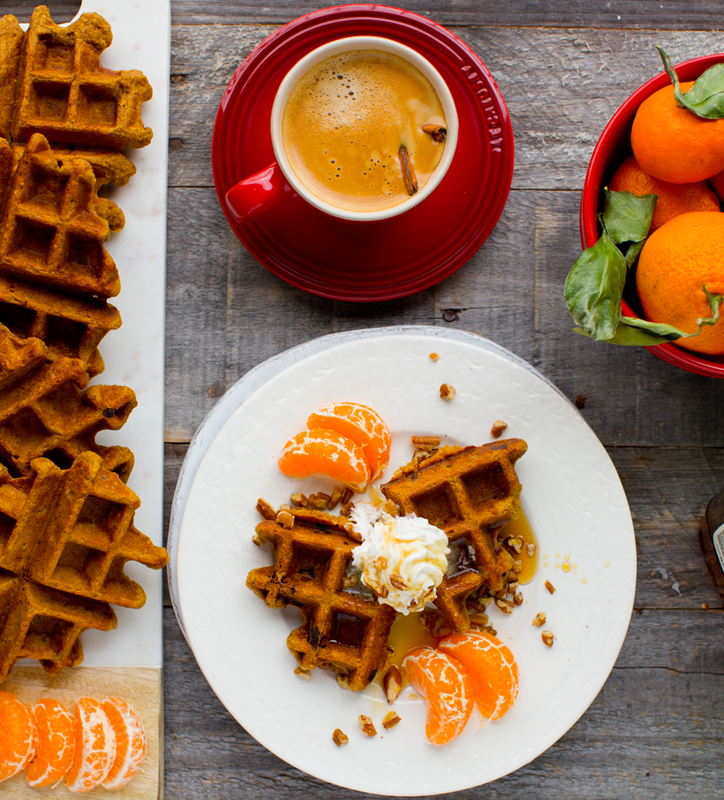 I love theese in Cerise because they really add something stunning to brunch. So lovely around the holidays because Cerise is so festive! I love this fresh and simple marble and wood cutting and serving board. Beautiful light colored marble and super easy to clean. I love these blue glasses. They look like snowflakes and create a cool color for water. Beautiful rich color! Delicate yet sturdy. I am obsessed with this art. I usually go for colorful, perky art for my walls. But something about this simple black and white piece called out to me. It reminds me of my dad. And when we used to go skiing in Lake Tahoe. Sometimes we would lay down on the side of the mountain and kick out skiis up in the air for a moment of rest. And this is what the world looked like. Trees at a side angle, snow all around. So ya, I love this piece. Oh, one more! 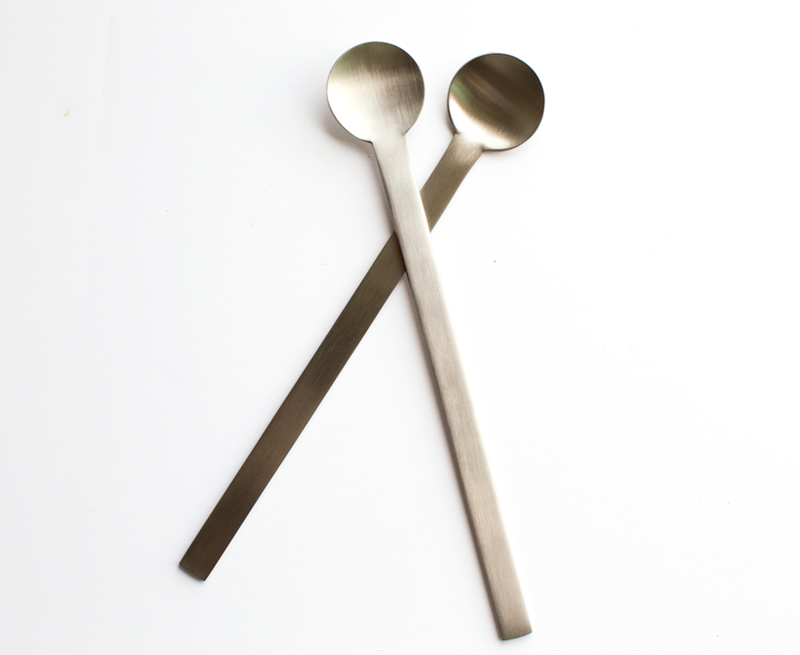 These adorable little coffee or tea spoons.. 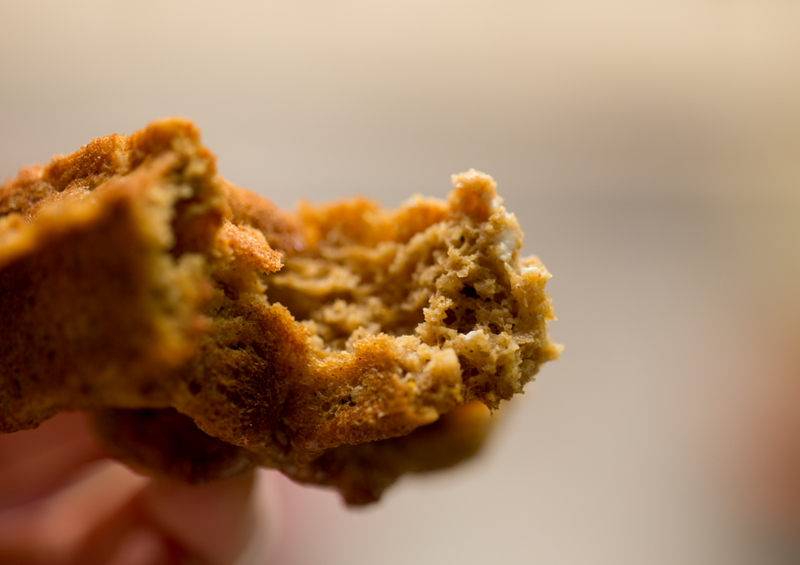 So if you love all that product inspiration, you will love this "Food Blogger's Kitchen Sale" post over on AllModern! And many of my fave fave items are on sale! You didn't think I would leave you without a recipe, did you?? 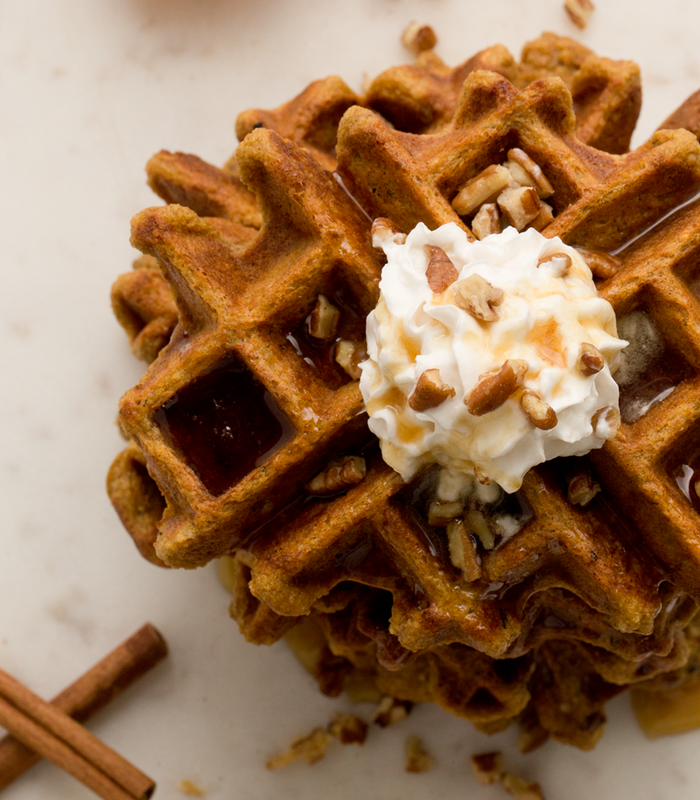 If you want to make these most amazing holiday waffles in your Waffle Baker, go for it.. 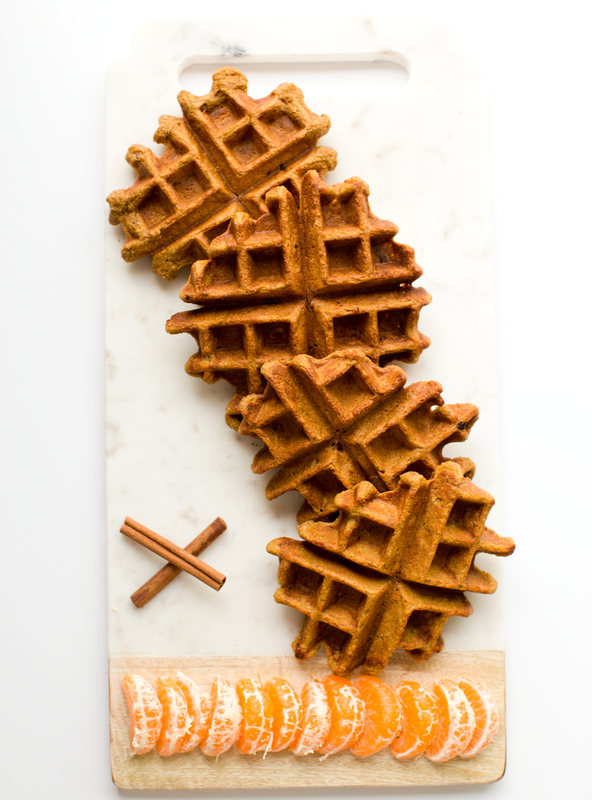 These waffles have cinnamon, orange peel, vanilla, gingerbread-pecan flavors in each bite. Gluten free and vegan. 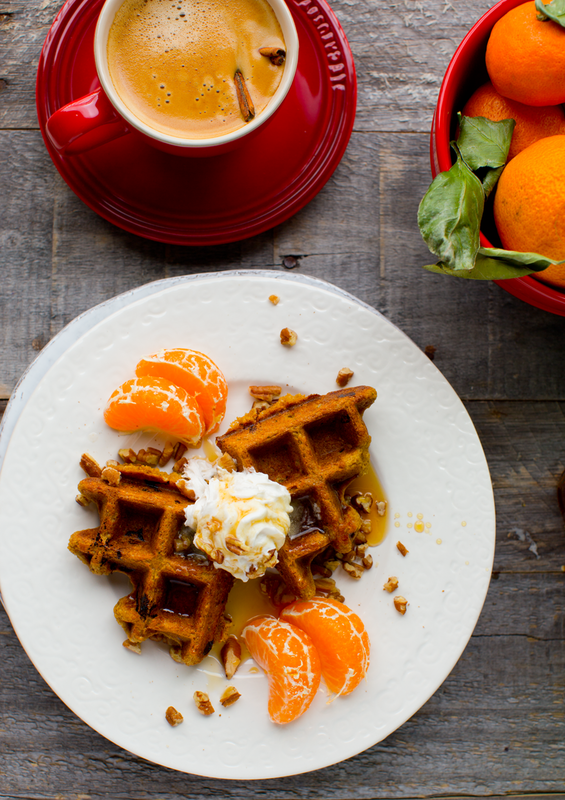 Warm up your waffle maker - I am using my dreamy Waffle Baker by KitchenAid, found on AllModern. Add the hemp seeds and oats to a blender and blend until powdery, but not over-blended to be too clumpy. Combine all dry ingredients, including this seed-oat mixture, in a large mixing bowl. Sift or break up any clumps if needed. Add all the wet ingredients to the same blender and blend until smooth. Pour the wet mixture into the dry bowl and combine using either a large whisk or hand beater. Whip until fluffy. Fold in the pecans and orange zest. 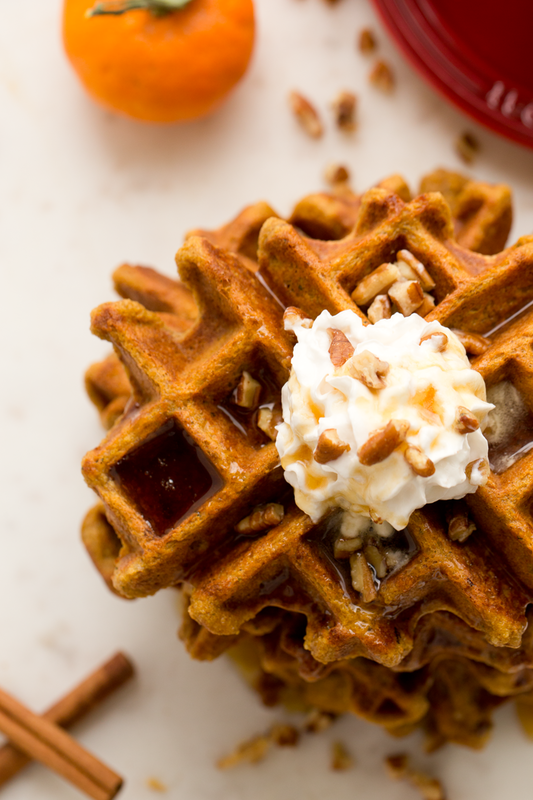 Cook waffles on your waffle maker and serve warm. (I usually do 4 minutes per waffle, 4-5 if I want them well done and a bit more crispy and browned.) 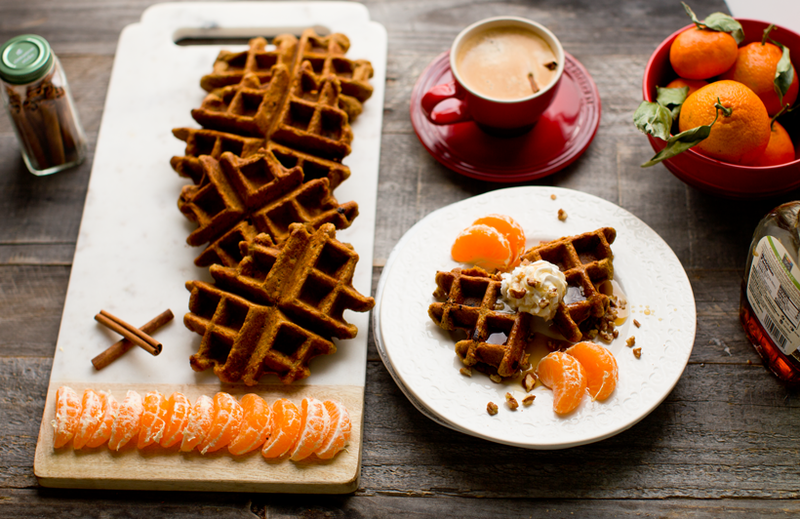 Allow the waffles to cool on a cooling rack or similar for 2-3 minutes before placing on a plate to serve - this helps create a crispy texture. Cook time: 00 hrs. 04 mins. 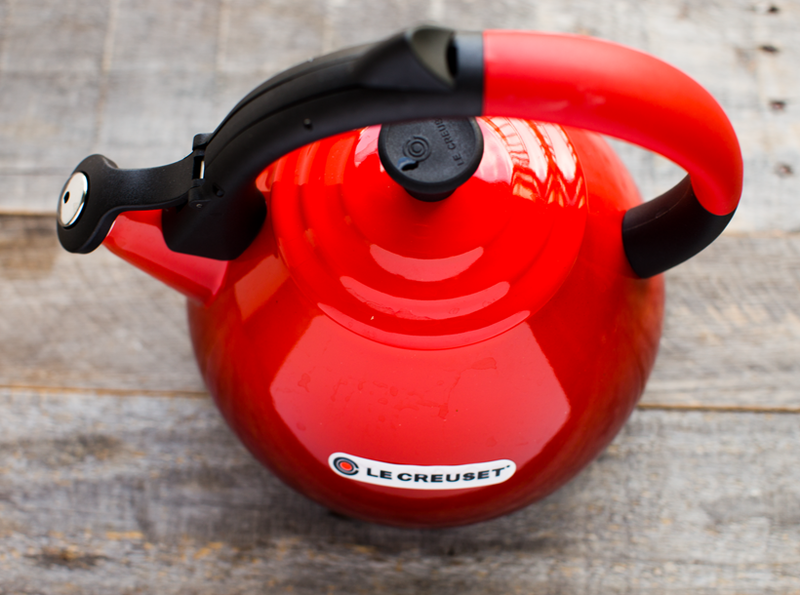 Be sure to check out Le Creuset's Cerise collection! 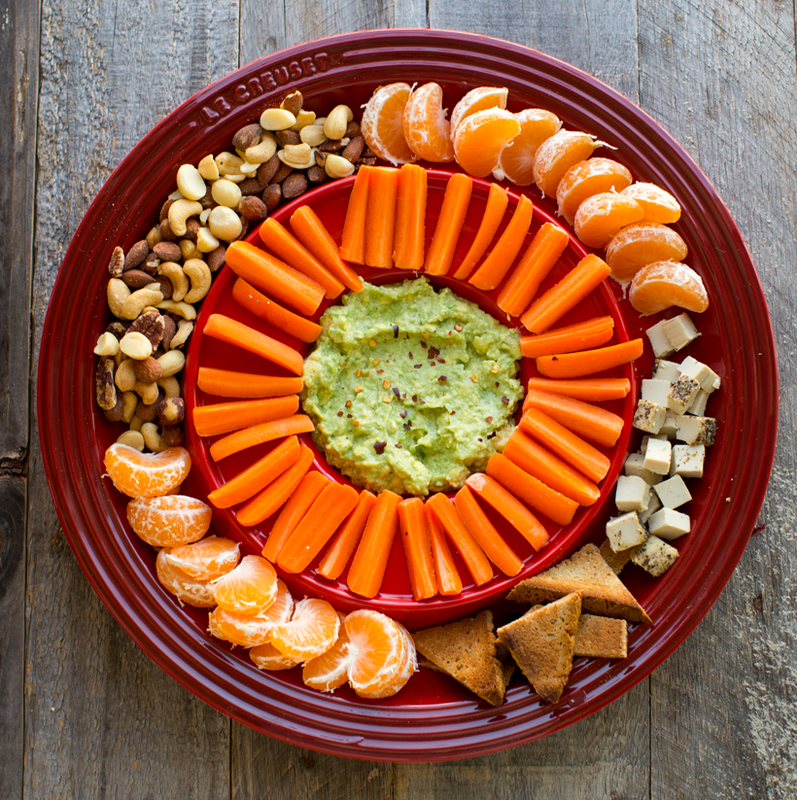 It is so festive and bold and lends the perfect pop of color for your kitchen or holiday table. 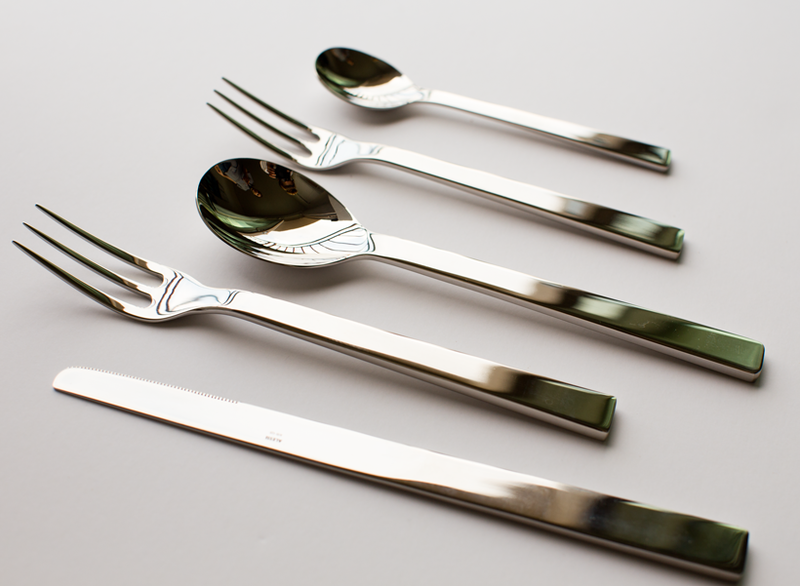 Oh and this gorgeous Alessi flatware too!.. This post is sponsored by AllModern, but all opinions are my own.